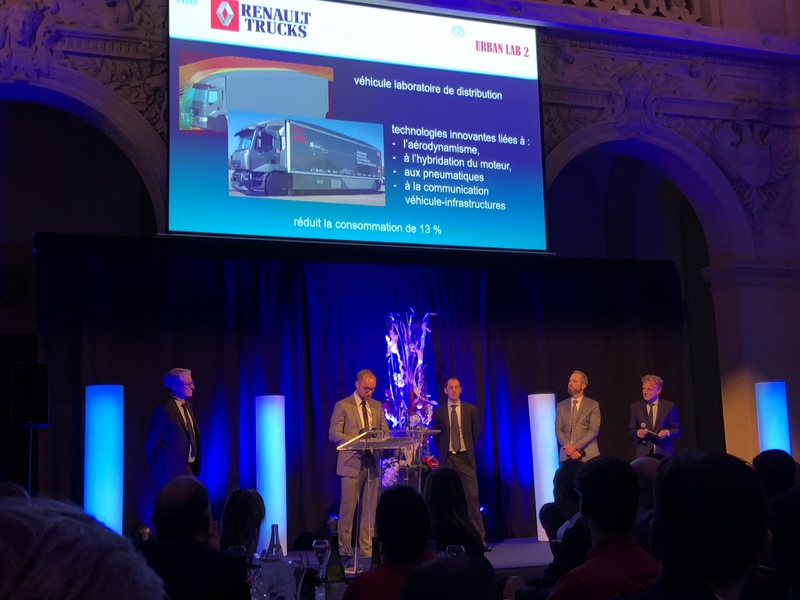 Renault Trucks has won the “Low Emissions Driveline Award” for its laboratory distribution vehicle, Urban Lab 2. This prize, awarded by the LUTB Transport & Mobility Systems cluster and the PFA Automotive Industry and Mobilities, as part of the Solutrans Innovation Awards, was presented to the manufacturer at the Lyon Chamber of Commerce and Industry on 21 November 2017. On Tuesday, 21 November 2017, at the Lyon Chamber of Commerce and Industry, Renault Trucks was presented with the “Low Emissions Drivetrain Award” for its laboratory distribution vehicle, Urban Lab 2. This prize, awarded as part of the Solutrans Innovation Awards 2017, is organised by the LUTB Transport & Mobility Systems cluster and the PFA Automotive Industry and Mobilities and recognises a significant breakthrough or innovation in the powertrain of transport vehicles. In addition to engine hybridisation, Urban Lab 2 combines innovative technologies associated with aerodynamics, tyre performance and vehicle-to-infrastructure communication with the aim of reducing fuel consumption by 13%. The Urban Lab 2 laboratory vehicle is the result of the EDIT (Efficient Distribution Truck) collaborative project, financed by the Single Inter-Ministry Fund, Auvergne Rhône-Alpes Region, Métropole de Lyon, Ain Department Council and the FEDER. 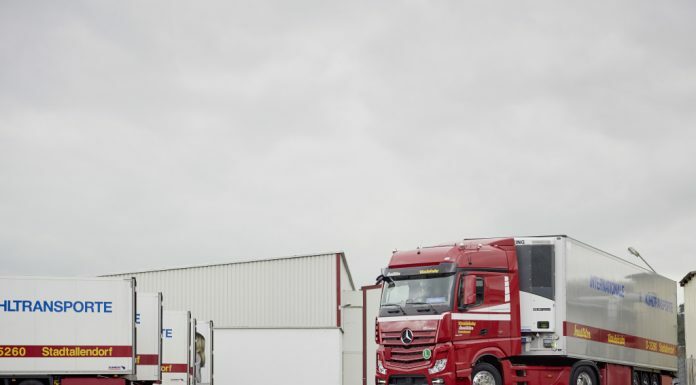 Designed based on a 19-tonne Renault Trucks D WIDE Euro 6 diesel, Urban Lab 2 targets the urban and regional distribution sector and its on-board technologies have been developed in conjunction with six partners: Valeo, Lamberet, Michelin, BeNomad, INSA Lyon (LamCoS) and IFSTTAR (LICIT).